A multi-talented creative force, Hutton Wilkinson began his career at the age of 18 as apprentice to design icon Tony Duquette. He went on to collaborate with Duquette for the next thirty years on a myriad of projects including interiors for such clients as Norton Simon and Jennifer Jones, Doris Duke and John and Dodie Rosecrans. With his own interior design firm and now as creative director and president of Tony Duquette Inc., Hutton designs residential and commercial interiors, various collections and writes both fiction and coffee table books. He oversees the legendary Duquette estate, Dawnridge, in Beverly Hills, and several years ago built a residence for himself and wife Ruth next door. Overlooking the spectacular shared gardens, the house embraces the more is more aesthetic of Duquette’s legacy with interiors Hutton designed as a modern ode to Venetian Palazzos. 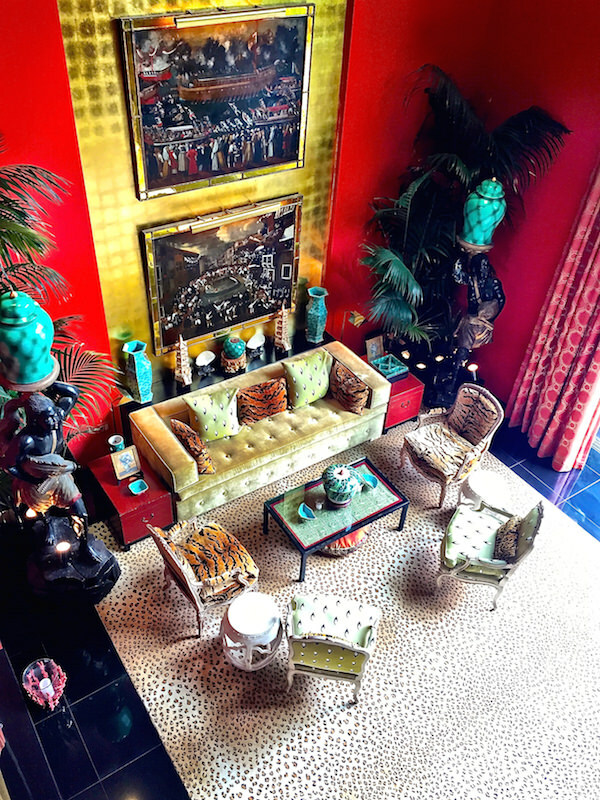 Join Susanna and me as we visit Hutton in his opulent, colorful and quite extraordinary home. The core of the house is essentially one large room, the central section of which soars twenty feet high. and the spectacular gardens beyond extend the visual space. connects the two main interconnected floors with the private quarters above. 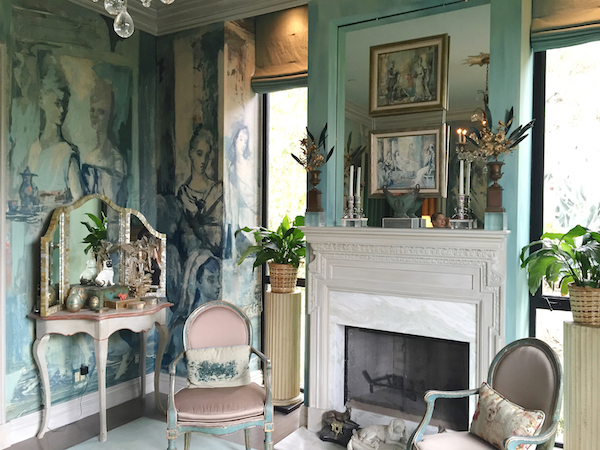 Ruth Wilkinson’s dressing room is the ultimate feminine retreat, sheathed in murals based on paintings by Tony Duquette’s wife Elizabeth. In addition to his interiors work, Hutton Wilkinson designs a multitude of collections for the Tony Duquette Inc. label, including textiles for Jim Thompson, home furnishings for Baker Furniture, fixtures for Remains Lighting (California sunburst in his home below), dinnerware and tabletop accessories for Mottahedeh and a rug collection coming soon with Patterson Flynn Martin. 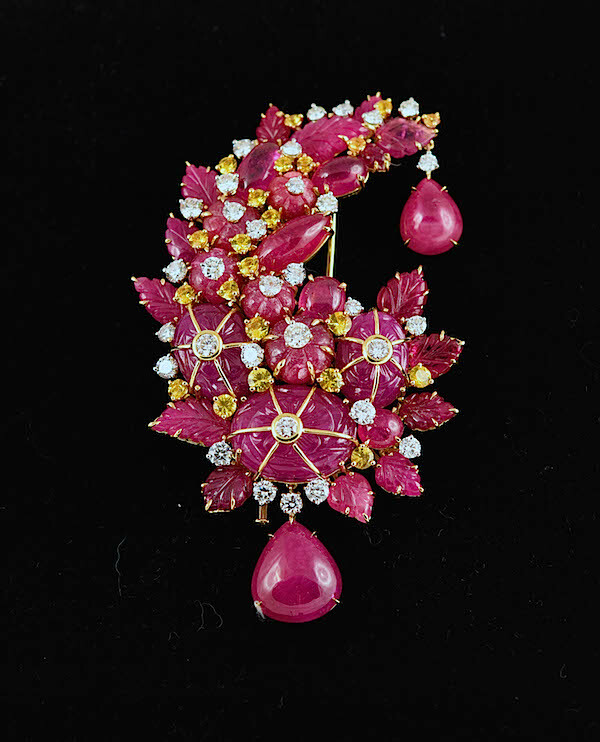 In 1998, at Bergdorf Goodman’s request, Wilkinson and Duquette, had launched a one-of-a-kind fine jewelry collection. Hutton continues to produce pieces under the Tony Duquette label that are both highly collectible and seen on the runway in collections by such notable designers as Oscar de la Renta, Balmain and Badgley Mischka. Hutton has documented the Tony Duquette legacy with several volumes. 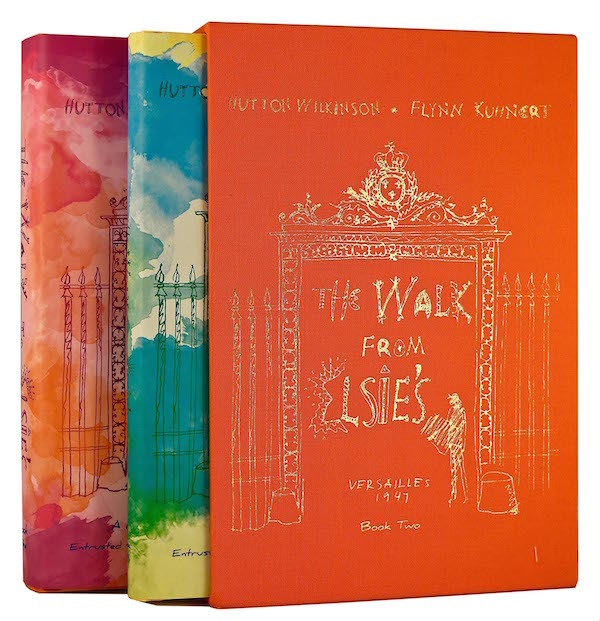 The best-selling Tony Duquette, written with Wendy Goodman, was followed by Hutton’s More is More, Tony Duquette/Hutton Wilkinson Jewelry and most recently, The Walk to Elsie’s, a tale of historical fiction, documenting the last ten years of the celebrated designer Elsie de Wolfe’s life, as told to him and co-author Flynn Kuhnert by Tony Duquette. Currently sold out, a second printing is on its way! So thank you Hutton for a fascinating, entertaining and inspiring day!! Before Hutton Wilkinson even opens the doors to his extraordinary home, you’ll notice that NEST Fragrances has generously sponsored this video visit. 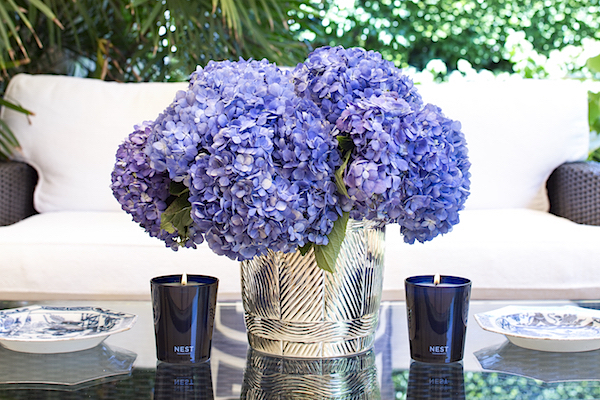 As scent is as vital a layer for personalizing your home as any accessory, we feel it’s the perfect pairing. We hope you’ll let them stylishly scent your world! 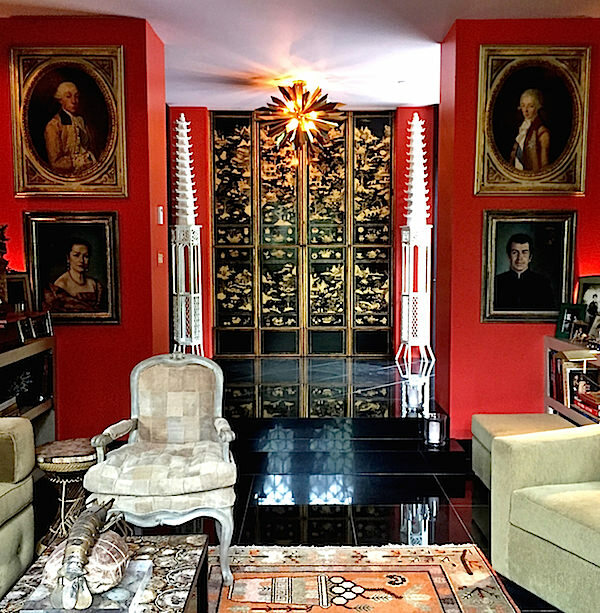 This entry posted in architecture, At Home with, books, furniture, garden, interior design, jewelry, Quintessence video series, Stylish Shopping, travel. 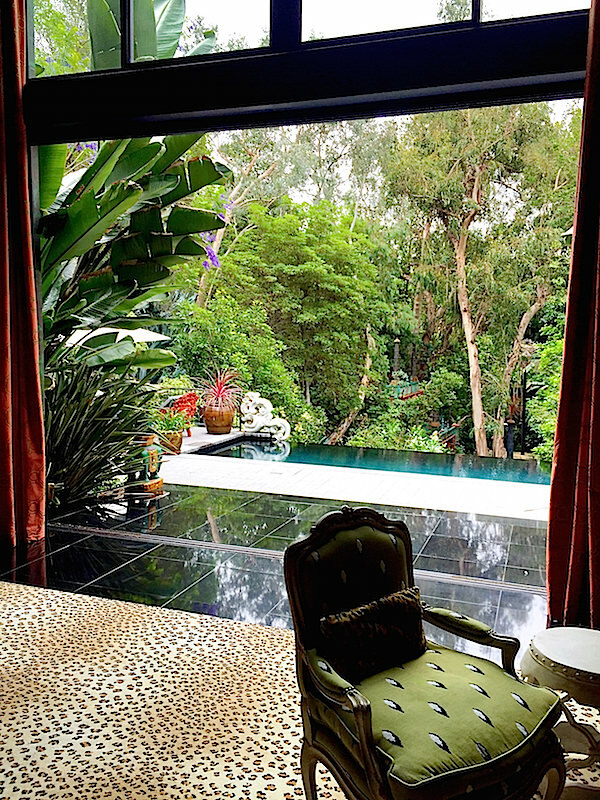 Entry Tags: At Home with, Design Books, design videos, Hutton Wilkinson, interior design, Jewelry, Los Angeles, NEST Fragrances, Tony Duquette, Video Bookmark the permalink. Glamorous visit Stacey and Susanna. I like the pretty sponsorship by Nest too, Thank you ! I love both the NEST preview and this fabulous post. The doggie crests are too cute. This is my new favorite video- as good as being there for an insuder’s view of this iconic designer’s home. Superbly done. I truly have died and gone to heaven. 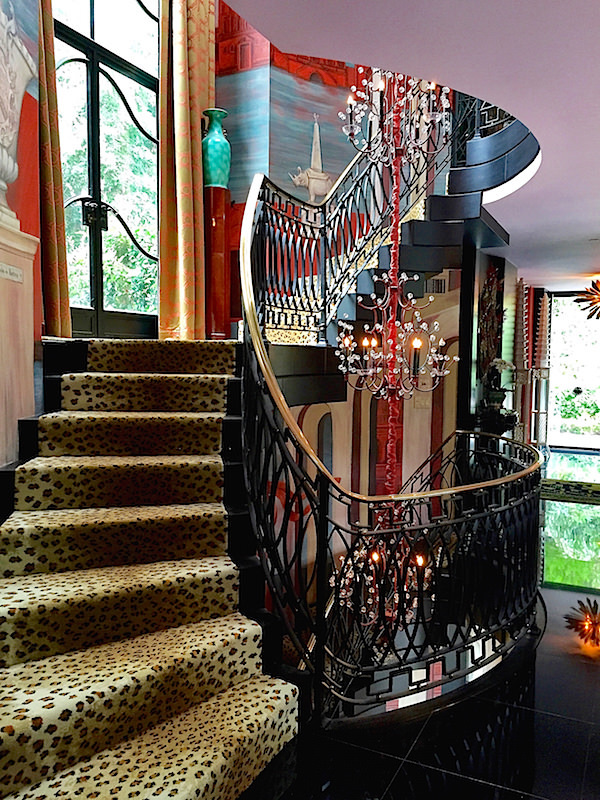 The house is beyond, beyond…..so fabulous. I can’t think of words to describe it. Hutton is another genius. It is so great to see him carry on the Duquette legacy. I love where Hutton says luxury is one of a kind and to customize something even if it comes from a catalog and it becomes yours exclusively, couldn’t agree more. I wish everyone understood that in our me too society. The nest introduction was beautiful and beautifully done. Thank you Stacy and Susanna for a great video that brightened this rainy Monday morning. Aaaamazing!! 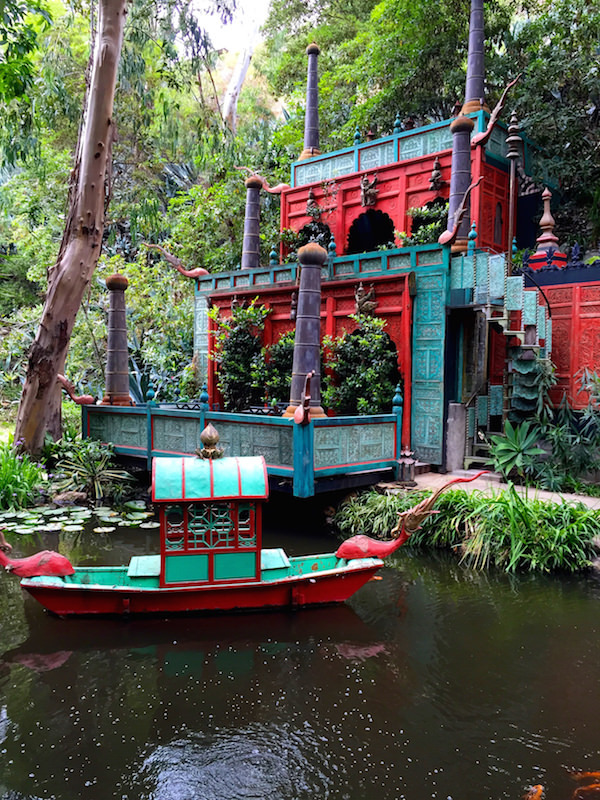 The Chinese pond is so fantastical. He is brilliant. How wonderful to live a life surrounded by such exquisite beauty every single day. Lucky! Thanks for sharing. Wow! You guys have done it again. Fabulous interview and tour of this magnificent home. I love how integrated the interior is with the exterior gardens and pool. You would think such a colorful living room wouldn’t be able to do that, but that’s his genius. 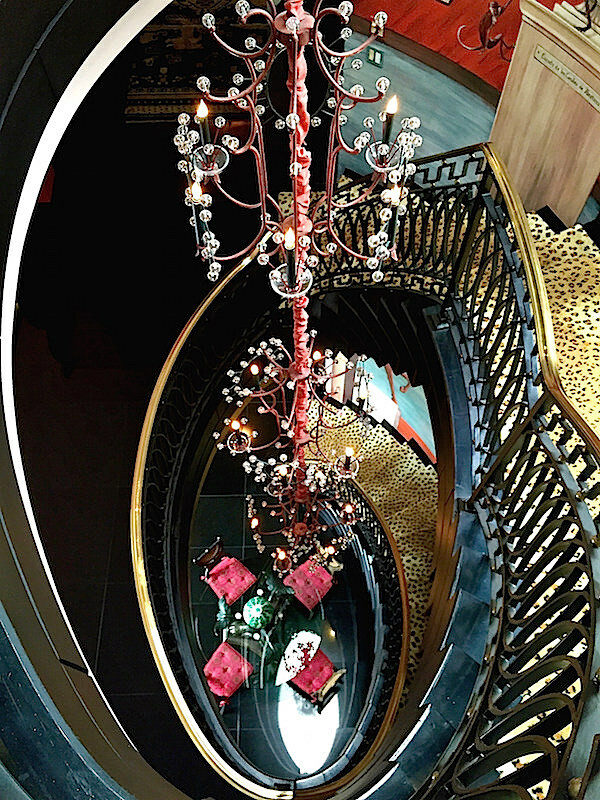 I adore the staircase. Just gorgeous! You certainly captured the glamour and beauty of Ruth and Hutton’s magnificent home! of Hutton. Love Ruth’s bedroom and all of the Westies. The two of you have of way of really capturing the best of each designer. Just fabulous! Thank you. Pictures don’t do the house and grounds justice. The video was an absolute treat. 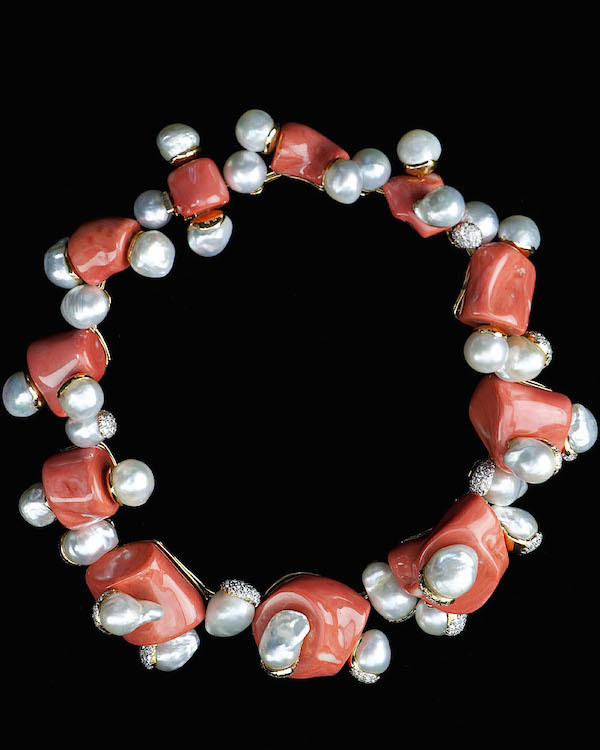 Of course, I now want to glue pearls on something! So wonderfully provacative! Will have to investigate him,book,everything! Merci! Over the top feast for the eyes and spirit. Feel energized and ready for the day. Great job! Will be viewing this over and over. Dear Stacey and Susanna, words can hardly describe this incredible collected home. Hutton truly has a gift for living an artful and luxurious life! Thank you for sharing another wondrous video! 85 queries in 1.044 seconds.